The OpenLink Data Spaces? (ODS) are available as an EC2 AMI enabling the hosting of the complete suite of ODS applications in the Amazon Cloud. Start a Virtuoso EC2 AMI instance. Connect to: http://your-ec2-instance-cname with your Web browser and log in. 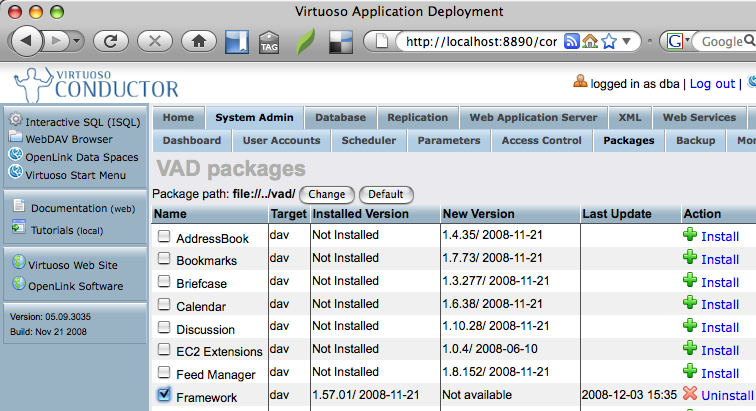 Go to "System" -> "Packages" tab and select the ODS applications you would like to install. Note that installation of the ODS "Framework" application is required. Give the 'SPARQL' user 'SPARQL_UPDATE' privileges (required if you want to exploit the built-in Sponger Middleware). Click on the ODS (OpenLink? Data Spaces) link (or go to http://your-ec2-instance-cname/dataspace/ods/index.html) to start a Personal Edition of OpenLink? Data Spaces. Log in using the username and password credentials for the 'dav' account (or register a new user. Note: OpenID? is an option here). 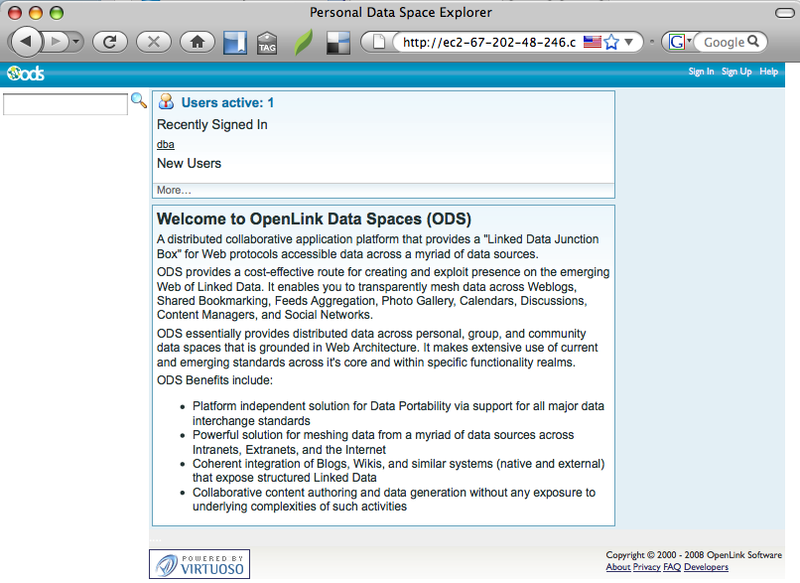 The OpenLink Data Spaces documentation? provides more details on usage.